Take A 14-Day Romance Challenge and watch your marriage, your man, and even your own heart take on a fresh glow. Have you been so busy taking care of life’s daily tasks that you’ve forgotten to focus on your love? Have kids, work or other obligations taken all your time and left you with little energy for your marriage? Has the routine of chores and responsibilities left you wondering what happened to the romance you shared in the early years? If so, it’s time to spice up your relationship and rekindle the passion. 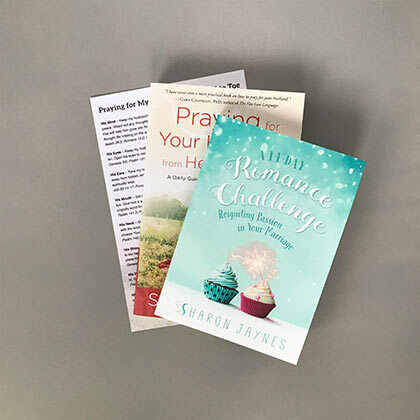 Download Your Free Sample Chapter Here! 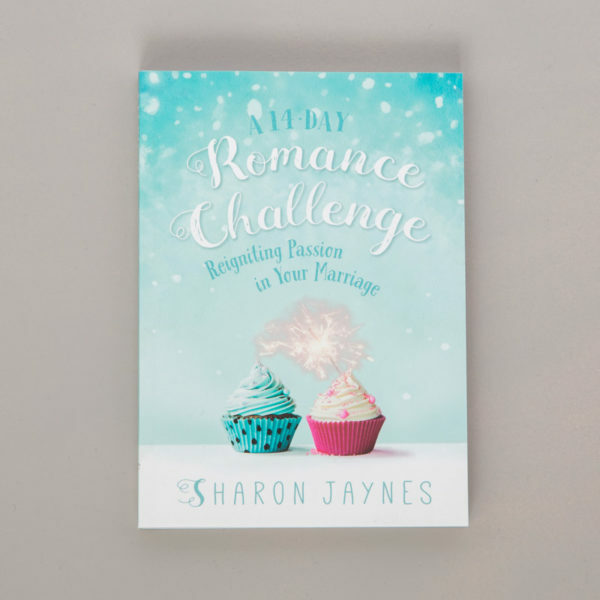 In “A 14 Day Romance Challenge”, bestselling author and conference speaker Sharon Jaynes offers heart-stirring inspiration and simple ideas that will put a smile on your husband’s face and rekindle the spark in your marriage. Wow your man with simple acts of affection he’ll treasure for a lifetime. Wake up the passion that’s been pushed aside by the routine of everyday life and put the sizzle back in your marriage. Identify your husband’s love language and love him in ways that he longs for. Give your marriage a much-needed tune-up that will help your love grow stronger and deeper. Double the content of the original ebook with over 250 ways to romance your man! 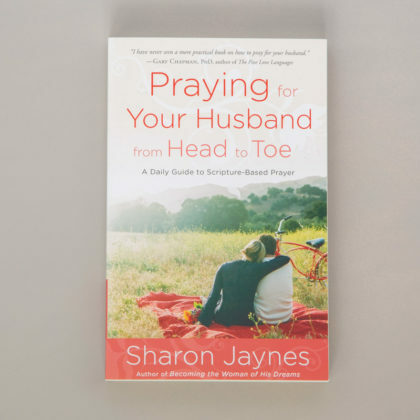 COMES WITH A BIBLE STUDY GUIDE for group or individual study.